What Is a Clean Driving Record? Having a clean driving record can help you maintain your driver’s license and minimize the amount that you pay for your car insurance. Here in California, you are required to maintain a minimum amount of coverage in order to be allowed to drive your vehicle, so this is an ongoing expense that you’ll have to pay. Having negative incidents on your driving record can cause your insurance rates to skyrocket, typically for a period of up to 10 years. That can add up to a lot of money over time, so it is in your best interest to keep your rates as low as possible. The best way to do this is to maintain a clean driving record. Here’s what you need to know about what a clean driving record is and what you can do to clear yours. Essentially, a clean driving record is one without any negative factors. This can include things like at-fault traffic accidents, moving violation tickets, DUI arrests, and other undesirable activities. The state of California maintains detailed records of each driver that is licensed in the state, applying points to the driver’s record for each violation. Most general infractions, like speeding or failing to stop at a stop sign, will add one point to your license, and this will typically stay on your record for 39 months. More severe actions, like reckless driving or a hit-and-run, will add two points to your record. These points will typically stay on your record for up to 10 years. Finally, failing to appear in court for a traffic violation will stay on your record for 5 years, while failing to appear for a DUI will remain for 10 years. The offenses that stay on your record for longer periods of time tend to be the ones that are most likely to lead to serious accidents and injuries, like driving under the influence. Because these behaviors are more risky, the punishment is more severe to encourage drivers to be more careful. In addition to the spike in your insurance rates, reckless driving could have more serious complications as well, like injury, jail time, or even death. Keeping your driving record as clean as possible is about more than just keeping your insurance rates affordable; a negative record can impact other areas of your life as well. Most notably, it could impact your ability to find a job, even if driving is not part of the job duties. If driving is a major component of your job, employers may refuse to hire you due to the points on your record. Because they will have to insure you while on the job, it will cost the company more money to have you on staff than it would for someone with a clean driving record. They may also worry about the safety of their vehicles, cargo, and passengers, as well as the reputation of their company. Even if you won’t be required to drive in the normal course of your job duties, employers may still not want to hire you. You’ll need transportation to get to work each day, and this may become difficult for you if you get so many points as to lose your license, even if just temporarily. Many employers look at your driving record as a sign of your responsibility and dependability, so you want to show yourself to prospective employers in the best possible light. 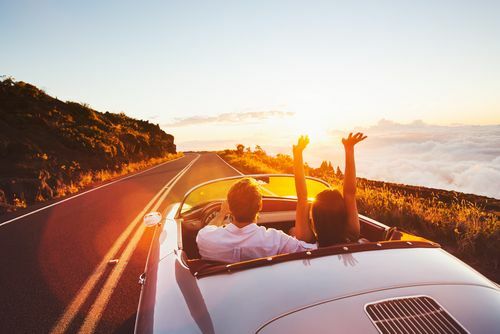 In addition to saving you money on your regular car insurance, a clean driving record can help you save money whenever you need to rent a car as well, like when you are on vacation. This frees up more of your cash to enjoy activities and entertainment at your destination. Of course, the best way to keep your driving record clean is to not acquire any points in the first place, but all hope is not lost if you have made some mistakes in the past. If you already have points on your license, you’re likely wondering if there is anything you can do to improve your driving record. In fact, this is one of the most common questions people ask at DMV offices throughout the state. Each state has its own specific requirements regarding clearing driving records, and here in California, you have a few options available to you. The DMV is responsible for maintaining driving records for all drivers in California, and the employees there can provide valuable information to help you clean your record. DMV offices tend to be quite busy, and you’ll likely have to wait a while, often for several hours, if you don’t have an appointment. Booking your appointment in advance can save you a lot of time, making it easier to get your driving record problems taken care of. The DMV associates can review your driving record with you, letting you know how many points are already on your record, how long they will be in effect and what you can do to remove them. Even if you don’t think you have any points on your license, it is always a good idea to check to verify that it is clean. People can make mistakes, so it is entirely possible for points to wind up on your license erroneously. It is worth it to check, even if just for your own peace of mind. You don’t want to be paying higher insurance rates for someone else’s mistake. When talking with the DMV agent, be sure to take detailed notes. Even if you think you can remember all of the information, it is always helpful to have your notes to reference later on. This way, you can ensure that you won’t miss any important steps. Although it is possible to remove points from your driving record in California, there is a limit to how many you can have removed and how frequently you can do it. The DMV agent will be able to advise you in this area. If you have never attempted to remove points from your license before, you should have no trouble qualifying, but if you have done it recently, you may need to wait a while before you can have additional points removed. Ask the DMV associate for a list of state-approved defensive driving courses. This way, you can ensure you won’t waste your time and money on a course that won’t be of any help. If the information isn’t already included on the list, find out as well how many points each course can remove and if there are any additional requirements. 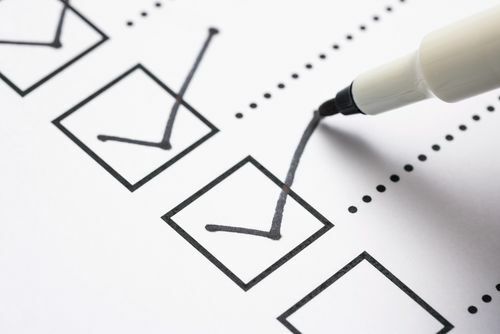 You may be able to choose which points you would like the course to apply to, and it is best to choose the record that will have the longest impact. Points that will go away on their own in the near future can be left alone. Take a long-term view to get rid of the points that will be the most damaging over time. A defensive driving course, also known as traffic school, is the best way to remove points from your driving record. Depending on the particular driving school you choose, you may be able to complete the course online or in a classroom. Think about your preferred learning style and schedule to make your decision. Don’t look at the course solely as a way to clean your driving record, but also as a way to make yourself a better driver overall. A defensive driving course can be used to remove points from your license, or it can be used to have a traffic violation ticket dismissed, preventing the points from ever going on your driving record in the first place. In addition, your insurance company may offer you discounted rates for completing the course, even if you don’t have any negative records. Not all insurance companies offer this type of discount, so be sure to check with yours before enrolling. Aside from removing points and reducing insurance rates, defensive driving courses can also help you to become a better driver. When you drive defensively, you’ll put less wear and tear on your vehicle, avoid accidents, and have better awareness of what is going on around you while on the road. Preventing accidents from happening in the first place keeps everyone safer on the road, including you, other drivers, and pedestrians. In most defensive driving courses, you’ll review the rules of the road so that you know what is expected of you when driving. You’ll also learn techniques for driving in inclement weather as well as how to anticipate the actions of other drivers so that you can avoid dangerous scenarios. If you have already completed traffic school as many times as you are allowed for a certain time period, the only other way to get points cleared from your driving record is to wait. That probably isn’t the answer you were hoping for, but it’s the truth. Over time, your older violations will have less of an impact on your insurance rates until they go away entirely. Depending on the infraction, it will typically take anywhere from 39 months to 10 years for a violation to be removed from your record. It is important to note that some points cannot be removed from your record, even if you complete a defensive driving course. Typically, these are for more serious violations that endanger public safety. For these offenses, your only option is to wait for them to go away on their own. Now that you have gotten as many points as possible removed from your driving record, you need to prevent more points from being added in the future. The best way to do this is to put the lessons from your defensive driving course into action. Having too many points on your license at one time can result in the suspension or revocation of your license, so you want to keep your points to a minimum. Aside from losing your license or paying higher insurance rates, driving safely and defensively can help you avoid accidents, which could end up costing you even more in the long run. 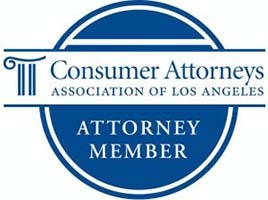 You’ll also avoid any potential personal injury lawsuits from other drivers who were involved in an accident with you. No matter how well you think you drive already, you can always improve your skills, making our roads safer not just for yourself, but for everyone else on the road as well. Even with all the defensive driving skills in the world, accidents are still entirely possible. They can happen to anyone at any time. While it is true that defensive driving can help prevent accidents, you can’t control what other drivers do on the road. No matter how careful you are, accidents can still occur. 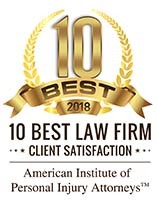 If you have been in an accident, regardless of who was at fault, it is in your best interest to hire an experienced auto accident attorney to handle your case. If you were at fault, the other driver could sue you, and if you weren’t at fault, you may need to sue the other driver in order to obtain compensation for any injuries you suffered as a result of the accident. Here at Krasney Law, we specialize in personal injury cases, including those that result from auto accidents. We’ll work with you to help you get the compensation you deserve. If you are taking all of the necessary steps to be the best driver you can be, there is no reason why you should have to suffer the consequences of someone else’s bad driving. Get in touch with us today to learn more about our services and how we can help you.